Online dating in Lebanon, as is the case in the rest of the Arab world, is not popular and still seen as taboo. 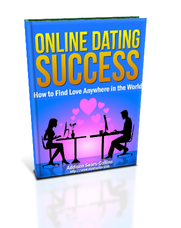 As a result, don’t expect to have the same results in this country that you would find in a country like the United States or Canada, where online dating sites are less taboo and have been around for years. Even in a bigger city like Beirut, online dating is still not really popular. There is really only one online dating site that is worth signing up for (more on this site below). Dating/social networking sites like Badoo.com and Tagged.com that are worldwide and have lots of members in Lebanon seem to be chock full of fake profiles. You can still sign up for them, but you will be spending a lot of time combing through poor quality profiles before you discover even one hidden gem. Despite the tough online dating scene in Lebanon and the rest of the Middle East, it is still worth giving online dating a try. Lebanese women are some of the most beautiful women in the world and the most beautiful in the Middle East (alongside Iranian/Persian women). The plus as well to dating a Lebanese woman is that she will likely speak either French or English in addition to Arabic. As I mention in my online dating e-book, should you decide to sign up for the online dating site I recommend below, be sure to read member profiles carefully as you might come across a lot of fake profiles. Usually, I can spot these profiles easily. A woman who has only one picture posted, is wearing a tight bikini and making an overly suggestive pose are usually clear signals to steer clear. 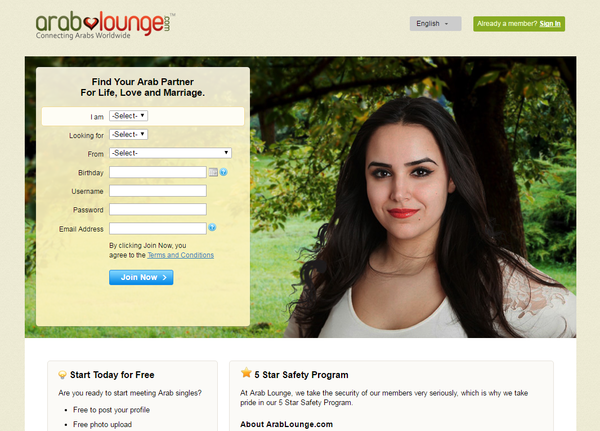 Arablounge.com is the best online dating site in Lebanon as well as the rest of the Middle East. It has been around since 2003 and is also a great site if you are looking to date Lebanese in other countries of the world, including the United States. Although the site has some competition from Arabmatchmaking.com, Cupid Media’s Muslima.com and others, Arablounge.com stands out easily above the pack. It has a huge membership base of Arab people around the world and is free to sign up, but you have to pay to use some of the more high tech features like video chat. Arab Lounge is attractively designed, user-friendly and easy to navigate. The profiles on the site go into a lot of detail, which makes it quite easy to find a good match, but if you seriously want to meet someone, you’ll have much better luck if you buy the Platinum membership. When signing up you’ll be asked your gender, the gender you’re interested in, and your birthday. After that, pick a username and password and you’re in. Once in, you need to give your name and location, then check the various boxes for basic information concerning religion, race, marital status, etc. There is one interesting question in this section, which asks for your “best attribute,” which I found interesting. For this you get to choose among your body parts: eyes, hair, neck, belly button, etc. In the end they ask you to write a headline for your profile, such as “looking for adventure,” or “like to have fun.” Then you write a description of yourself and what you’re looking for in an ideal match. Arab Lounge gives you a number of different search options. You can search according to age and location. A more detailed search lets you narrow down the search by religion, family roots, physique, and race. Once you become a Platinum member you’ll be allowed to search using a lot more criteria. The site also has a feature that allows you to browse among members currently online, search for Matches who meet your criteria and also search for Reverse Matches, which are users looking for someone like you. You can also search using a “Photo Slideshow” showing one profile at once, giving you time to either skip or Favorite. In order to communicate with another member, you can add someone to your favorites, visit their profile, or send a wink or a message. The profiles on Arab Lounge are highly detailed and thorough. You don’t have to fill everything out, but if you want to you could spend a great deal of time answering all the questions regarding your lifestyle, appearance, values and favorite things.